A bee dusted with pollen makes a brief stop in his frenzied path through a Flathead Lake, Montana, cherry orchard. 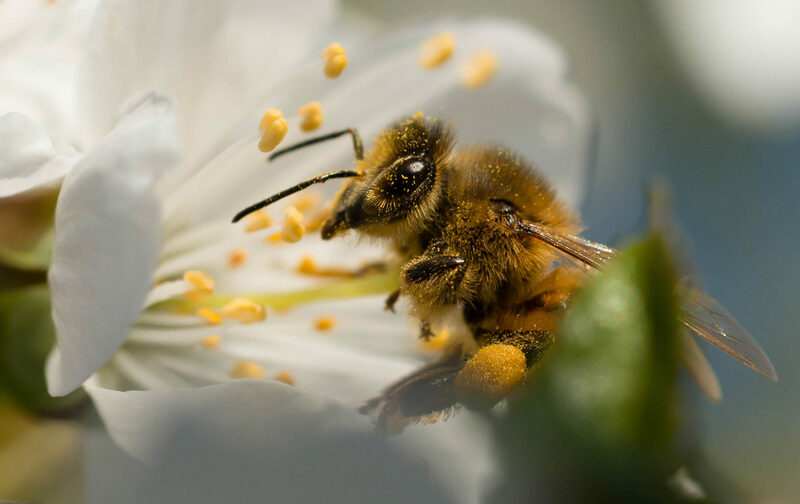 Bees are brought into the orchards for pollenation and producers are sure to provide them with a good water source to keep them close to the job at hand. Quebec couple restores and lives in a 176-year-old home. New winter variety offers producers shelter from fusarium outbreaks.